After their 2014-release “Hydra“, Within Temptation is back with a new studio album. Their seventh full length studio album is named “RESIST” and released via Vertigo/Universal Music. It took Within Temptation 5 years to release a new album, was it worth the wait? 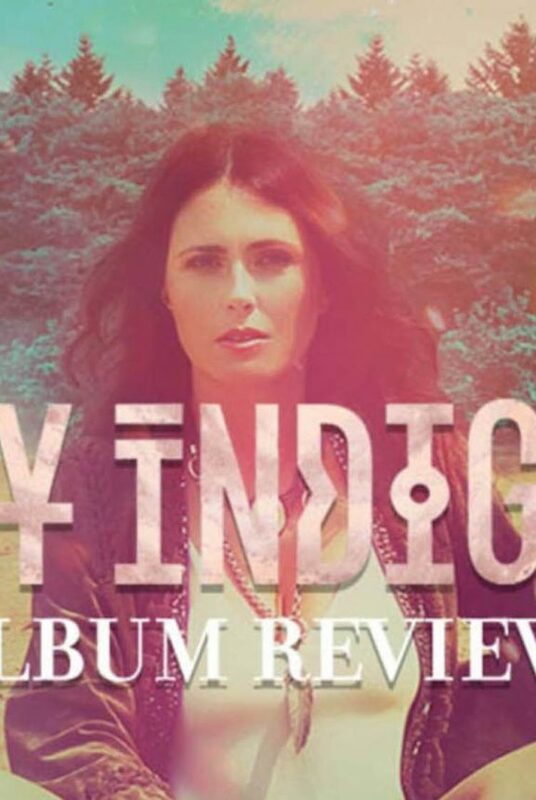 Sharon den Adel for My Indigo. Photographer: Semuel Souhuwat. Click to enlarge. For this studio album, Within Temptation is not using original artwork, like they did before with their other six studio albums and EP releases. This artwork is created and published by digital concept designer Emmanuel Shiu. We reached out to both, as Within Temptation as the digital concept designer, for their comment and story behind the artwork. However, we have never received any feedback on this yet. Digital art by Emmanuel Shiu. Click to enlarge. The album kicks off with the “The Reckoning“. The song, in collaboration with Papa Roach singer Jacoby Shaddix, is as it comes. Sadly, no extended version or album intro, just the song like everyone knows it. It is one of the heaviest tracks on the 2019-release of Within Temptation, a battle anthem is one of the ways to describe this song. Electronic influences and a powerful chorus frame with the heavy drums from Mike Coolen. The deep, warm voice of Papa Roach singer Jacoby Shaddix is in beautiful contrast with the clear voice of singer Sharon den Adel. The second track is a track which some of the fast fans already know. This track got released on the digital web accidentally, others know this track from their 2018-live shows. “Endless War” is the first track on which we can clearly hear the new Within Temptation sound. A song with electronic and futuristic influences, combined with catchy lyrics and quite simple and maybe repetitive vocal lines by Sharon den Adel. The song is a mix between old and new: a choir and a robotic voice with an important “system overload”-warning. The song ends with a beautiful and fragile piano outro. This song is also well-known song for Within Temptation fans. The song was the very first leaked song from “RESIST”. Shared by founder of Within Temptation, Robert Westerholt, on Apple Music Connect, the song was released in its demo version in 2018. On the album, the song is in a way more complete version. Just like the single, “Raise Your Banner” is in collaboration with In Flames singer Anders Fridén and is one of the heavier songs on the album. But, apart from the screams, Anders Fridén is hard to hear on this song. “Raise Your Banner” even includes the soprano voice from singer Sharon den Adel, which we haven’t heard on studio albums for a while. The song is not catchy, but a powerful song with a rock twist. Just like Within Temptation intended this album to be. While performing this song live, this was already not one of our favorites. We hoped the album version would change our opinion on this track, but this sadly is not the case. “Supernova” has one of the more confusing music styles of “RESIST”. The lyrics are repetitive and this song has quite some autotunes over the beautiful vocals of Sharon den Adel. To many, a fan favorite, in our opinion, the least exciting track on “RESIST”. However, it does fit on this album, possibly because of the digital orchestra and choir which makes its appearance, halfway during the track. “It’s a while since I told ya, that I hate ya, you’ve turned the truth inside-out”, the first words of “Holy Ground” are strong, as are the instrumentals on this track. The violin somehow reminds us of “Crash And Burn“, from the solo project of “My Indigo” by Sharon den Adel. The song starts heavy, slows down to kick back in the chorus and all the way down to the last second of the song. Sadly, a lot of editing has been done in the final stages of the album. We would wonder how for example the guitar works and vocals would sound without these edits. The track is yet another example of the vision Within Temptation has on the nowadays pop music with a rock twist. “In Vain” is a new chapter to Within Temptation, nowadays known as the fourth official single from “RESIST”. This track has a dark yet mysterious intro and in general quite a soft feeling, until the chorus where they surprise you with guitars and multiple layers of vocals. With only one minute on the clock, we suddenly hear a Sharon solo vocal piece with a nice echo in the background, right before the song ends with a dreamy outro. Perhaps, this song is a bit too repetitive, in our opinion. This track was released late 2018 to announce the delay of the seventh studio album of the Dutch rock band. “RESIST” was pushed back from December 2018 to February 2019, due to ‘production delays’. “Firelight” was released as compensation to fans which were saddened with this news of the delay. 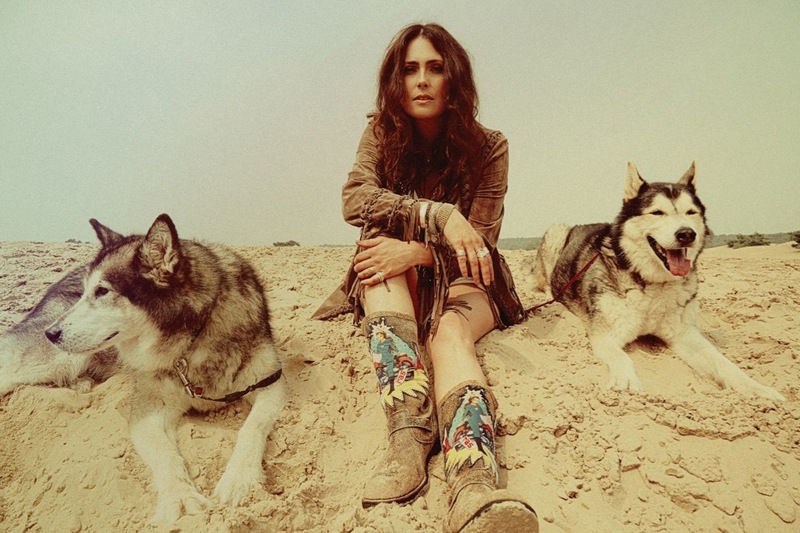 The track was originally due to be released on the solo album of singer Sharon den Adel, “My Indigo“. However, it was canceled last minute, due to the dark vibes and lyrics. An odd change, if you’d ask us. Even though the vocals of Jasper Steverlinck fit perfectly with the vocals of Sharon den Adel, “Firelight” is the one track which does not create the feel of the album. Perhaps due to the “wo-ho” lyrics? We’re not sure, yet. In 2019, the world will get to know the pop side of the Dutch rock band. On “Mad World“, Within Temptation was the most experimental for this album. The track starts with some promising guitars, but slows down after about 20 seconds. Mike Coolen makes a great appearance on this track with his drums. The track is a true rock vision on the nowadays pop music with a super-catchy chorus and male vocals who repeat what Sharon den Adel sings. “Mad World” is an ‘easy-to-listen-to’-song, with nice potential. It gives us flashbacks to the 2011-release “Faster“. However, this would be a great single to promote “RESIST” to the audience which is not yet known with the biggest rock export product of the Netherlands. “Mercy Mirror” is a known track for quite some fans. Within Temptation performed this track already during their 2018-live shows. “Mercy Mirror” is the only ballad on “RESIST” and is a power ballad. Not one like we know from Within Temptation, but one with catchy lyrics. The guitars and drums perfectly frame the harmony of the voice of Sharon den Adel. It is the shortest track on the album, with only three minutes and fifty seconds, but for the song it has the perfect length. This track fits perfectly on this studio album of the Dutch rock band. On the very last track of “RESIST”, we got the most excited. Not only is this the first Within Temptation track written by Stefan Helleblad, it is also the heaviest track on the album. We are in love with “Trophy Hunter”. The song starts with a big intro. You want guitars, drums, bass lines, orchestra and a choir? You got ’em! And this all including the raw haunting voice of singer Sharon den Adel. If the whole album had the feel of “Trophy Hunter”, “RESIST” would have been our favorite album all-time. A big shout out to Stefan Helleblad for creating this masterpiece 👏 We wouldn’t mind hearing more of this. Promotional image for RESIST. Click to enlarge. In general, we feel this album was not exactly what we were hoping for. In general, we feel this album was pushed and overhyped a bit too much. With mixed signals in various interviews, it set hopes for perhaps a redo of their 2007-release “The Heart of Everything”, which it’s clearly not. “RESIST” is an album that will have to grow on you. That said, Within Temptation is a band that keeps reinventing themselves every album, none of the previous albums sound alike. One thing that used to be consistent on every album, was that there was a clear story, told by the songs. In our opinion, “RESIST” does not. The 10 tracks on the album are songs that have no clear link with each other, sadly. Also, in our opinion, the album lacks of a proper intro track, or perhaps an extended version of the first track. The last actual intro we’ve had was with the 2011 release “The Unforgiving”, however, their 2014 release “Hydra” gave the feeling of an intro with the song “Let Us Burn”. If you are looking for an album like their 1996-release “Enter“, or a follow up to their successful 2007-release “The Heart of Everything“, “RESIST” might not be your cup of tea. But if you like their 2011-release “The Unforgiving” and are not afraid of a change, make sure to check out “RESIST”. Eight out of ten tracks have a certain vibe, the digital age which is watching over you. One track, “Firelight”, should’ve been released before the album, preferably as bonus track on “My Indigo”, or as separate My Indigo release. The tenth track, “Trophy Hunter” is, in our opinion, the best track on this album. 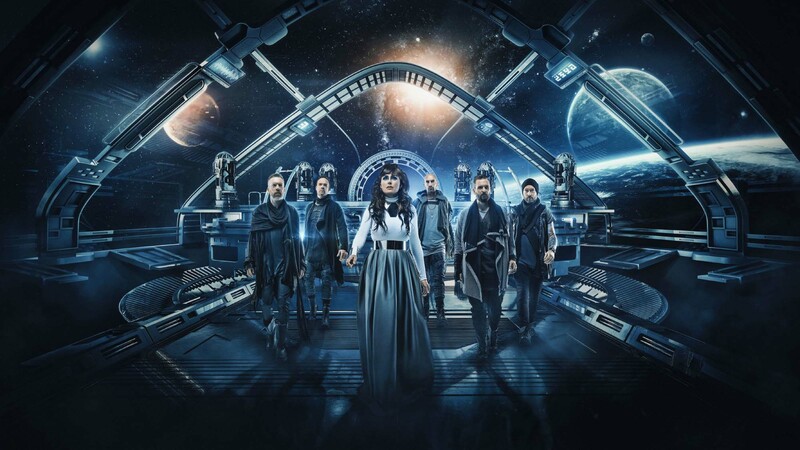 The seventh full length studio album by the Dutch rock band Within Temptation is set for release 01 February 2019 via Vertigo/Universal Music. You can pre-order the album now via the official Within Temptation store or several third party sellers. 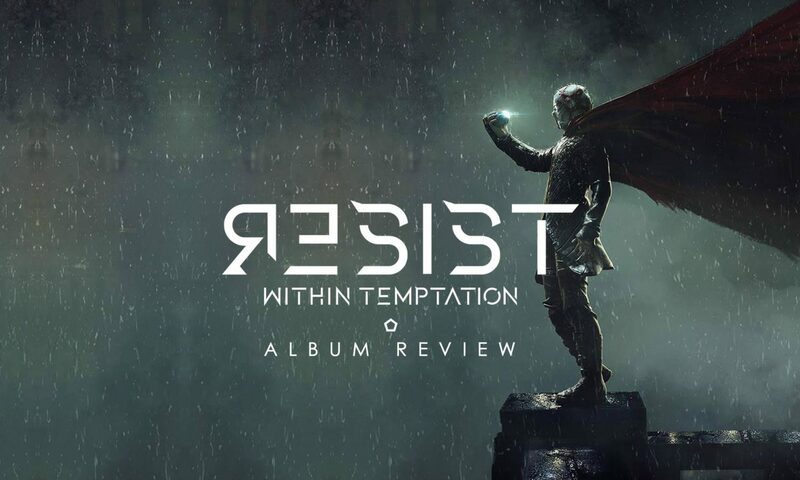 Click to pre-order the new Within Temptation album “RESIST”.